In a previous article we looked at intermediaries and brokerage in the digital era. So what to make of the rise of these digital aggregators in the SME lending market? Well, firstly, when working with the right aggregators it should mean easier and fewer relationships with your introducer network, superior quality leads that match your lending criteria, and more complete lead information delivered online. Consequently working with aggregators means quicker offers and higher deal success compared with unqualified leads from the likes of Google or other unqualified sources. There are relatively few aggregators such as Capitalise.com that achieve the qualification and the management of the lead end-to-end. At a time when Fintech consultancies are offering lender technology, legals, and process flows to set-up as a pre-pack lending business, lenders clearly need to differentiate themselves to businesses. For example, service provision need not be homogenised because aggregators will naturally promote specialists that bubble to the top of their ranking algorithms. Lenders can play to their core strengths and improve the bottom line, and similarly there is an opportunity to nimbly adjust lending criteria focus to new markets and with new products. With the likes of smart contracts on the horizon, and the growth of the mobile economy, many service providers are exposing their product offering through APIs. 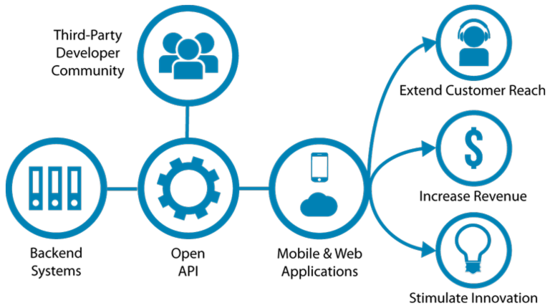 APIs allow external organisations to connect straight into your business – server-to-server or organisation-to-organisation. By offering your unique service via an API, organisations achieve scale and efficiency. The overall benefit of being part of this ecosystem is called the API economy. Enabling partners to send you leads by exposing your API creates an opportunity to speed up business operations and improve speed of delivery. With seven days being the average time a business leaves to find finance, speed is clearly a deciding factor for them. Speed is important, so ready your technology stack and business systems to present themselves to the outside world. There will be lenders already working on their APIs so the market is already moving, but where do you start? Speak to a consultancy about how to structure your API and the tools available to accelerate that. 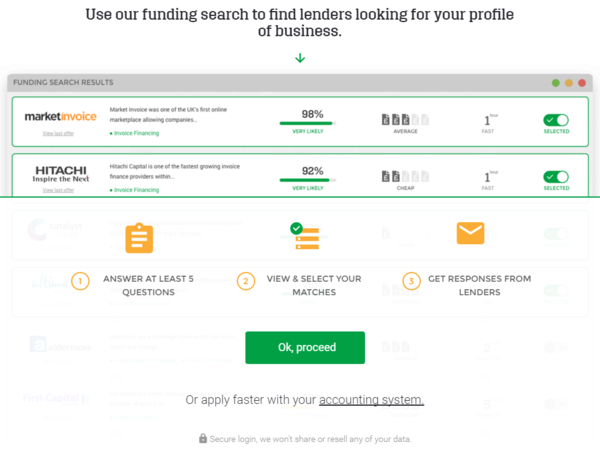 There are great examples of lenders building unique propositions around offering finance. By embedding financal services into businesses they receive operational value in addition to the leverage of the finance. Sonnovate offers a vertical stack for recruiters to make their service more 'sticky' for customers and improve customer experience. Iwoca integrates tightly with eBay and other providers for ease of use and improving credit models. Meanwhile MarketInvoice, like Capitalise.com, integrates with online accounting solutions to keep live tabs on the debtor ledger. By focusing on areas such as financial monitoring via mobile apps, fast onboarding experience and responsiveness of customer service improvements (in retention and conversion) will improve profitability. Whether that's creating a mobile app to track usage of an invoice facility, fast pricing from the internet on asset finance deals, or automatic verification of purchase orders advancing customers to an offer faster, it's fostering speed and ease of use. Take Aldermore, for example, which recently released its Revify mobile app to help businesses with their cash flow while offering ad-hoc lending. Raising customer service satisfaction can be measureable and can start small, but speaking to a digital consultancy can accelerate these improvements in your business. As explained in our previous article, the rise of digital aggregators offers an opportunity to receive qualified leads direct to your business development team. As a result, picking the right introducer platforms that the business development team enjoy working with is essential. Lead generation however, can be confusing to the customer as they are often sold a 'comparison' only to have their contact details sold on multiple times. The customer experience of receiving one broker and four lenders calls in the space of 10 minutes, after filling out a web form, switches businesses off to the process. Consider this: would you rather receive a full information pack from platforms motivated to find funding for platforms, or from those seeking to monitise any leads information. Getting started with new digital initiatives can be difficult with so much already on the roadmap. Perceived risks of building new teams or attempting to create wholly new products in the market can put the brakes on innovating. Our advice is to start to speak to agencies and consultancies who understand financial services and have practical experience of creating digital products in SME lending. Finding a consultancy that understands the process of a product development journey means you can get several ideas together quickly without needing to risk building a full product. Taking some of those ideas forward into a fleshed-out design means you can test them with your customers. Only after these user sessions can you engage with a team to start to build out the product.